Microsoft has officially published several Windows 8 videos, screenshots and few details. 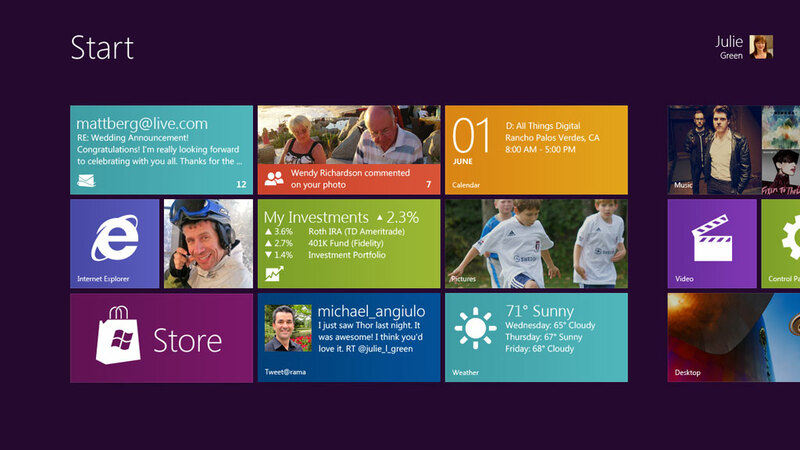 In this post we are publishing the real Windows 8 news right from Microsoft official websites. Use what you know. Do what you’ve always imagined. Changing the Way We Work, Play, and Connect. Today, at the D9 Conference, we demonstrated the next generation of Windows, internally code-named œWindows 8, for the first time. Windows 8 is a reimagining of Windows, from the chip to the interface. A Windows 8-based PC is really a new kind of device, one that scales from touch-only small screens through to large screens, with or without a keyboard and mouse. At the Microsoft Developer Forum in Tokyo on May 23, 2011, Microsoft CEO Steve Ballmer announced that the next version of Windows (Windows 8 ) will be released the following year (in 2012). 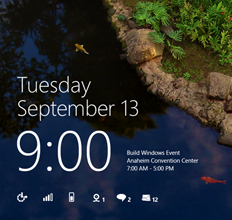 Fast launching of apps from a tile-based Start screen in Windows 8, which replaces the Windows Start menu with a customizable, scalable full-screen view of apps. A fundamental shift in Windows 8 design that Microsoft haven™t attempted since the days of Windows 95. Windows 8 also includes a stripped down version of Internet Explorer, similar to the mobile version of Internet Explorer, but using the desktop Trident rendering engine. Windows 8 will use the processor and the physical memory more efficiently, to make Windows 8 run more smoothly. TheCustomizeWindows recommends not to download any leaked version from p2p networks like torrents as this might put your computer and data at risk of getting infected with malwares, viruses and trojan horse. This Article Has Been Shared 1105 Times! Cite this article as: Abhishek Ghosh, "Windows 8 official videos, Screenshots and details," in The Customize Windows, June 5, 2011, April 19, 2019, https://thecustomizewindows.com/2011/06/windows-8-official-videos-screenshots-and-details/.